Two wolf pups were captured on video in Mount Hood this summer. 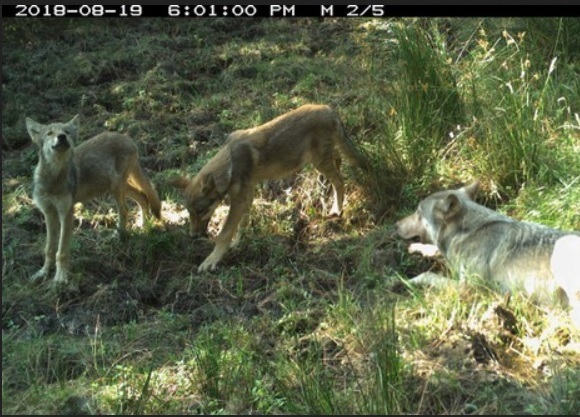 This makes it the first time a pair of breeding wolves have been witnessed in the Cascades in a long time. “Today, we let out a huge howl knowing that a wolf pack is rightly back on the landscape around iconic Mt. Hood after the species was systematically exterminated decades ago,” Josh Laughlin, Executive Director of Cascadia Wildlands, said in a statement.